October is Breast Cancer Awareness Month and here at Memorable Gifts’ our goal is to create awareness for breast cancer, which includes information on what exactly breast cancer is, how it can be prevented, symptoms, and much more. This will hopefully encourage people to take preventative measures, be able to immediately identify potential issues, and ultimately support the cause. Given the fact that 1 in 8 women (13.4%) will develop breast cancer in their lifetime, it’s imperative for the world to come together and not only educate, but support individuals that have been diagnosed with breast cancer. Besides skin cancer, breast cancer is the most commonly diagnosed cancer among American women. In 2017, it’s estimated that about 30% of newly diagnosed cancers in women will be breast cancers and About 2,470 new cases of invasive breast cancer are expected to be diagnosed in men in 2017. A man’s lifetime risk of breast cancer is about 1 in 1,000. This is a serious epidemic and can affect people you know, loved ones and even yourself. 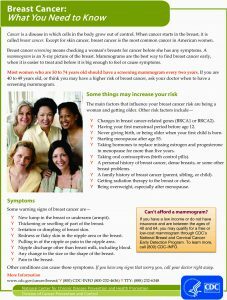 For more information, risk factors, symptoms and preventative measures please visit the Centers for Disease Control and Preventions index on Breast Cancer. Motherhood is filled with important firsts, such as a first step or word, first birthdays and even her first Mothers Day as a new mom. This can be a scary but exciting time for new mothers. Their First Mothers Day should be one filled with happiness and comfort as they are celebrating their new life and new family. Naturally, new mothers collect a bevy of keepsakes and mementos to commemorate their time as a new mom and to remember for years to come. There are so many ways that you can help to make this a truly special day! Help her to preserve special memories and keepsakes that she will collect over the course of the first year of her new life! Photographs, trinkets and mementos deserve to be treasured and kept all in a safe place. Help her to commemorate this special day with a scrapbook displaying all the important firsts in this first year and the important ones to come. Create a special piece of artwork using the baby’s hand and foot prints that she can display for a lifetime. Documenting the first year of her child and her first year as a mother is a truly thoughtful and heartfelt gift. Every new parent can attest to the lack of sleep and depravity experienced in the first year of parenthood. Wake up early that Sunday so that she can sleep in and get much needed beauty sleep. Send her on a special spa or pampering day for a gift sure to impress and help recharge her batteries. This isn’t only a great gift for mother’s day but all year round! There are so many ways to make this First Mothers Day extra special and to commemorate this special moment in a Woman’s life. 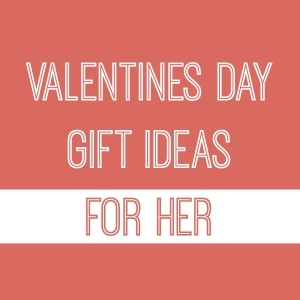 No matter how you decide to celebrate, with flowers or a homemade brunch, a thoughtful and creative gift can go a long way to making her feel special and loved. Check out these other special gifts for First Time Mothers and all the Special Moms in your life! The guys valentines gift guide, everything you need to know, so you don’t upset her over dinner or whatever plans you may have on Valentine’s Day. The guide consists of different gifts for her, but also helps you identify areas you may have overlooked, so let’s get started. Every year we celebrate Mother’s Day, honoring all mother’s—our own and those we know and love. Considering each and every one of us has a mother, and our mother’s have mothers—that is a lot of gifts we should be giving to mothers! Sometimes it is easy to give up on finding the right gift, but with our help you will not be thinking about what to give for too long. Memorable Gifts offers you plenty of options to choose from, all able to be personalized for whomever you decide to give your gift to, of course. If you are still having a hard time deciding among all of our fabulous choices then perhaps we can help you by narrowing down your options. We will share with you our top 5 most unforgettable Mother’s Day gifts that we offer to you this spring! Finding a gift for a religious occasion can be troublesome, where do you start your search and how do you add a personal touch? A sentimental event like a religious occasion is intimate and private, and not every gift is going to be appropriate. If there’s a complete gift guide to religious occasions this would be in the top 10, the following are occasions will be covering in the guide.